Years ago, I worked with a lady who I’m pretty sure could compete with Martha Stewart! She brought hot wassail to the office one year for Christmas and it not only tasted delicious, the smell was amazing. I asked for the recipe and kept the tradition going after she retired. 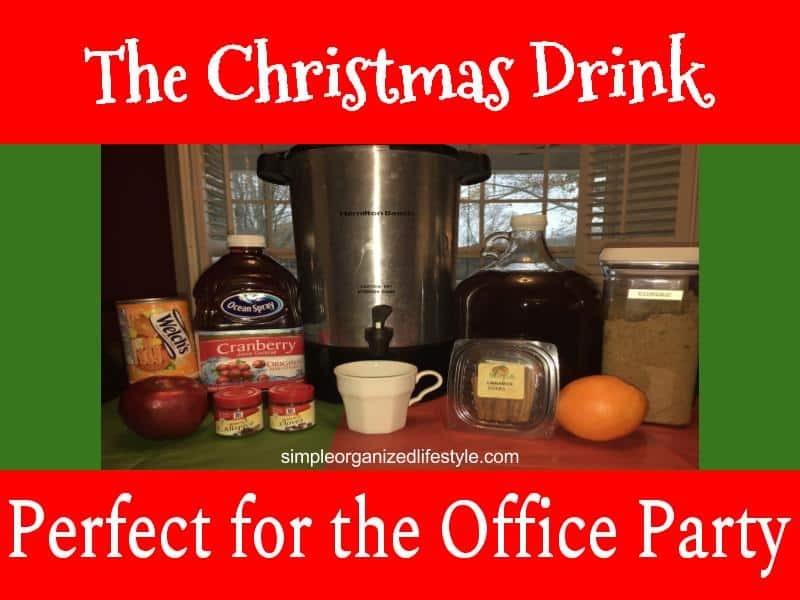 This drink is not only great for an office party at work, it’s perfect for holiday get togethers and special events. This is one of those recipes that has many different variations but y’all know I go for simple! This drink also goes by a lot of other names… The Christmas Drink, Wassail, Russian Tea, Spiced Apple Cider… to name a few. It’s apple-y, cinnamon-y, sugar-y perfection! The smell of this drink alone is worth it! This version is alcohol free since it’s the one I make for our work office party (and that would get you fired in my field). However, if this is a personal event and you want to make hot wassail recipe with alcohol, rum or brandy is usually what alcohol to add to wassail. Enough of me telling you how great this is, let me share the recipe so you can try it for yourself! Timesaving option- Use a pre-mixed container of mulling spices with the fruit. I used to borrow a coffee urn from work. Once I started making this at work and at home, I got a coffee urn for $25 at a Black Friday sale. This looks like the newer version of it- Hamilton Beach Brew Station 40-Cup Coffee Urn. It’s been the best coffee urn for this recipe! We store it in the basement after Christmas and have used it enough over the years that I’m glad we have our own. I’ve also seen a hot wassail crock pot recipe. I haven’t made it that way, but, if I did, I would use mulling spices tea bags and only the peels from the fruit to avoid having to strain it. Simply pour the cider, orange/apple/pineapple mix and cranberry juice into the coffee urn. 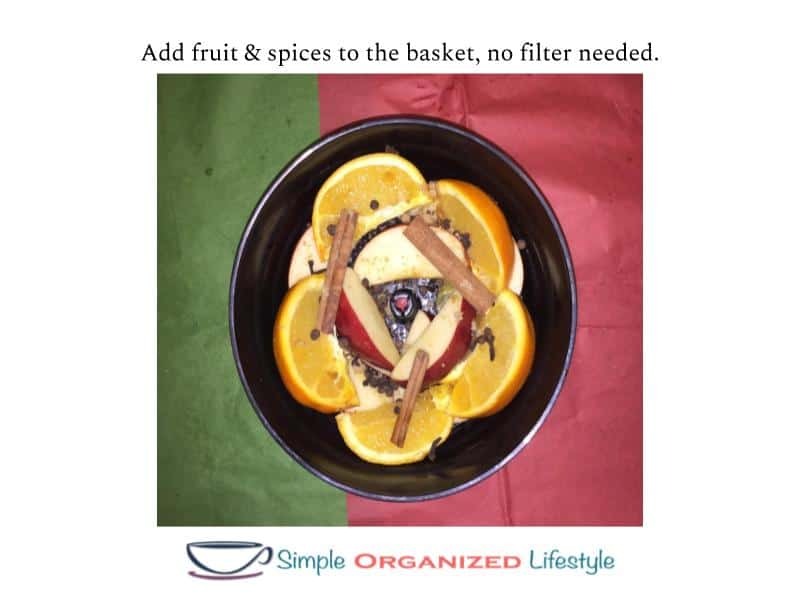 Add the fruit, spices and brown sugar in the basket. You don’t need to use a filter. It takes about 45 minutes to brew and stays hot in the coffee urn for hours for people to enjoy! If you prefer to have less cranberry, add a little orange juice instead. The cranberry is mainly to have your wassail be more of a red color (shown below). 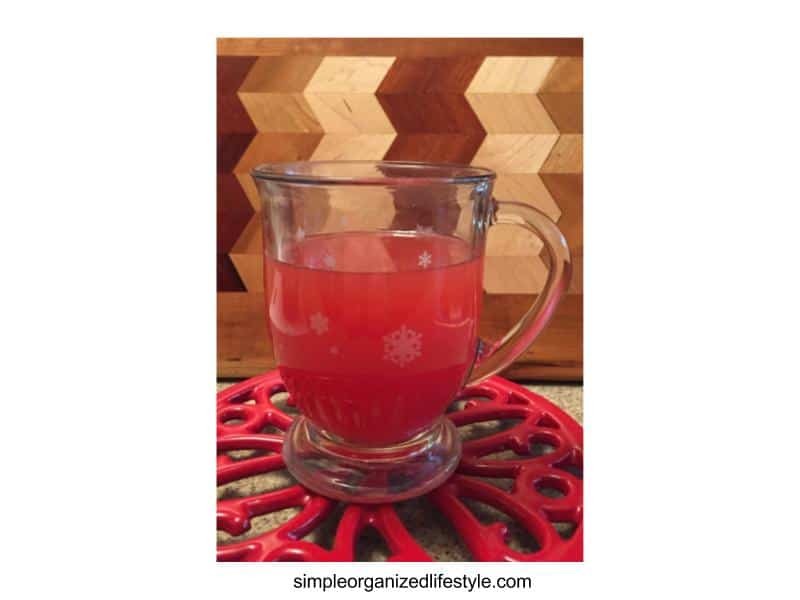 My co-worker that shared this recipe has also made hot wassail with red hots. 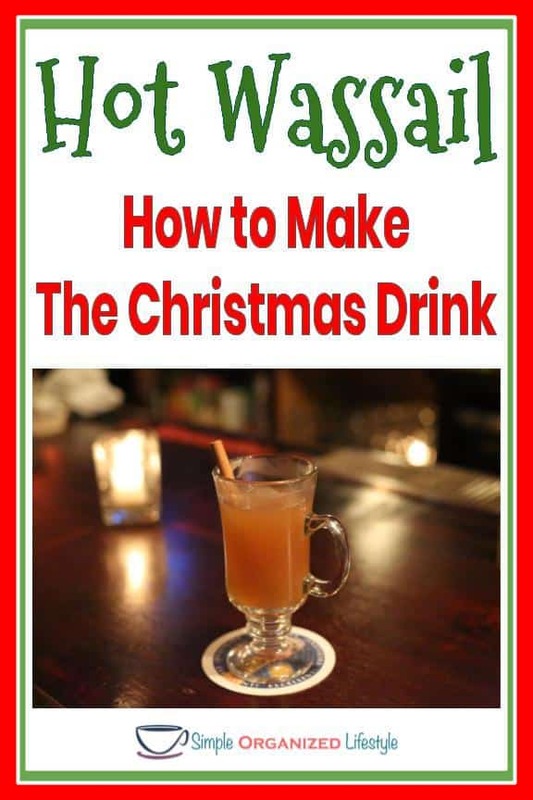 This wassail recipe is tried and true simple and has become a regular tradition for our holiday events. It’s often served when there are appetizers, but mostly it’s just available to enjoy throughout the day. I believe it’s called the Christmas Drink because it really does remind you of all the scents and tastes of the season! If you enjoyed this recipe, check back in a few days because I’ll be sharing another favorite Christmas treat for large groups called Crockpot Christmas Crack! I’d love to know your favorite food or beverage to take to holiday parties or events in the comments! I don’t think I have ever tried hot wassail. I will definitely need to make it as it sounds like a great drink to have this time of the year!